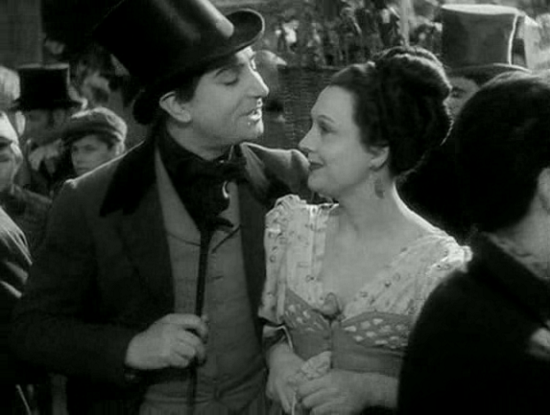 Poetic realism reached its sublime heights in Children of Paradise, widely considered as the greatest French film ever made. Even Truffaut conceded in the end: 'I have made 23 films, well; I would swap them all for the chance to have made 'Les enfants du paradis'. 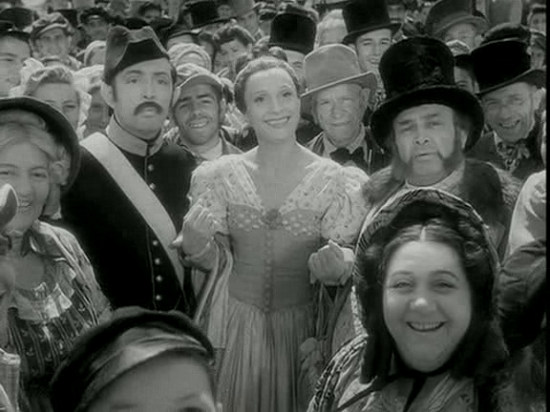 “Children of Paradise” is like a Balzac novel rendered into cinema, full of dramatic transformations and unexpected revelations: Rivals in love see their rivalry play out onstage, and then become the rival stage stars of their age, while remaining affectionate friends; the lovable hero is revealed as a dreamer and coward, the vain philanderer as a man capable of nobility and self-sacrifice, and the criminal villain as a figure of cruel but indisputable integrity. “Children of Paradise” is a work of cinema first and foremost, magnificently photographed by Roger Hubert and delivering at least three or four of the greatest acting performances in French film history. The story is at once simple and extremely complex. A mime named Baptiste (Jean-Louis Barrault) falls in love with a street woman known as Garance (Arletty)--and through a series of coincidences and his own love for her finds the inspiration to become one of the most beloved stage artists of his era. Baptiste is an innocent, a tremendous talent weighed down by ideals. He believes in true love, and so in his own way does aspiring Shakespearean Frédérick Lemaître (Pierre Brasseur), a vain and ambitious serial seducer who steals Garance away from Baptiste when offered the tiniest opening. Around this central triangle hover two seemingly ruthless men: the quasi-anarchist writer and criminal Lacenaire (Marcel Herrand), who professes to believe in nothing and no one, and the Count de Montray (Louis Salou), who believes only in money, power and aristocratic honor. All the four men are evidently in thrall to Garance as well — and despite everything life has taught her about the uselessness and impracticability of love, she of course ultimately can’t help falling hard for one of the four men (the one she can’t have). The story is further complicated by Nathalie, an actress who is in love with Baptiste. “Children of Paradise” came to be seen as a symbol of the unquenchable and distinctive quality of French culture. 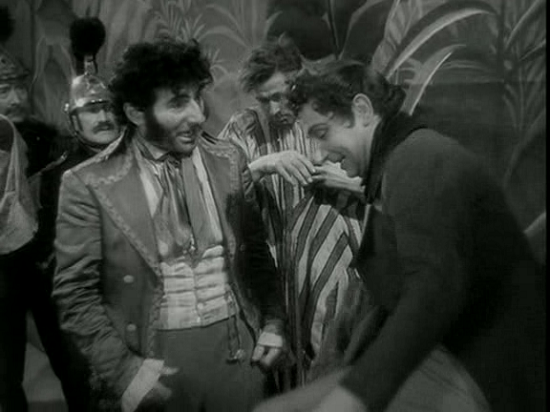 Although a tale of backstage skulduggery, debauchery and romance in the Parisian theatrical world circa 1830 would seem to have nothing to do with the realities of life under Nazi occupation — which was why Carné could make the film in the first place — “Children of Paradise” is full of coded meanings. Early in the movie, Garance, the cynical and mysterious femme fatale at the center of the story, played by French superstar Arletty, is arrested on suspicion of stealing a rich man’s watch. She’s released, thanks to the hilarious nonverbal testimony of street mime Baptiste Deburau (Jean-Louis Barrault), who is fatefully smitten with her. (Needless to say, Garance is not entirely innocent, of the theft or of flirting with Baptiste or anything else you care to name.) .When the policeman tells her she’s free to go — “You are free to go” — she tosses her head and replies, “Fine, I love freedom” No French viewer, now or then, could possibly miss the significance. With sensitivity and dramatic élan, director Marcel Carné and screenwriter Jacques Prévert resurrect a world teeming with hucksters and aristocrats, thieves and courtesans, pimps and seers. While the film is sometimes described as dreamy in tone, it would be more appropriately described as dreamy in tone but extremely earthy in content. Instead of giving us a glamorous portrait of life in theatre, it presents 19th century theatre as it actually was: dominated by noisy audiences perfectly capable of riot, the actors usually poor and hungry and mixing freely with criminal elements, the desperate struggle to rise above the chaos to create something magical on stage. Everything about the film seems to swirl in a riot of people, costumes, and overlapping relationships, a sort of mad confusion of life lived in a very elemental manner. And the cast carries the director's vision to perfection. 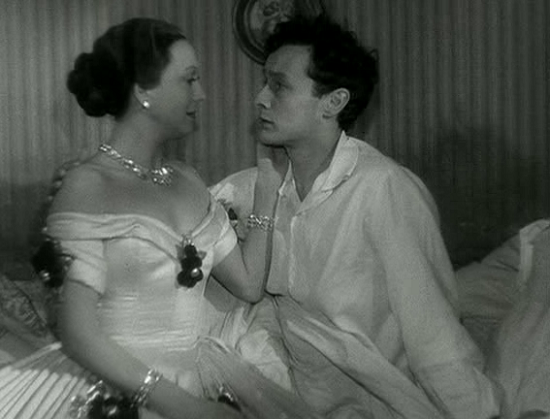 Jean-Louis Barrault is both a brilliant actor and brilliant mime, perfectly capturing the strange innocence his role requires; the famous Arletty offers a divine mixture of exhaustion, sensuality, and self-awareness that makes Garance and her fatal attraction uniquely believable. “Children of Paradise” is arguably not really Garance’s story, although she’s the spoke at the center of the wheel, but the story of four men who love her but for different reasons cannot have her. Arletty has played that role with a sort of vulpine, ferocious intelligence. And these performances do not stand in isolation: there is not a single false note in the entire cast, the roles of which cover virtually every level of society imaginable. Rarely in cinema you see a mad mix of everything and yet never strike a discordant note. If a film can be called a truly great masterpiece, this is one.